by Bob Whitesel D.Min., Ph.D., 6/12/10. Action C: Be a Good-doer, not a Do-gooder. The difference between a do-gooder and a good-doer was revealed to me ten years ago. Dan was auditioning to be the drummer in a worship team I led. Though he was more than suitable for the task, I was confused because he looked familiar. “You visited me last Christmas,” Dan responded noticing my bewilderment. “Brought a lot of nice things for the kids.” Each year our church visited needy residents, giving them gifts and singing carols. “You were nice enough to come,” Dan would say to me later. Dan and I had become friends, and now our team was planning to visit needy households. “You go, I won’t,” Dan stated. “I want to be a good-doer, not a do-gooder.” Further conversations revealed with Dan saw a difference between “do-gooders” and “good-doers.” On the one hand, Dan saw do-gooders as people who go around doing limited and inconsistent good deeds. He perceived that they were doing good on a limited scale to relieve their conscience. Thus their good deeds were perceived as self-serving, insincere and limited. A church that brings food a couple times a year to a needy family does little to minister to their long-term physiological needs or safety needs. On the other hand, Dan saw “good-doers” as those who do good in a meaningful, relevant and ongoing manner. And, he was right. In hindsight I had been striving to do good, not trying to do good better. Therefore, a church should connect with its community by offering ongoing ministry and not just holiday help. Excerpted from Spiritual Waypoints: Helping Others Navigate the Journey (Indianapolis: Wesleyan Publishing House, 2019), pp. 48-49.
by Bob Whitesel D.Min., Ph.D., 2009. For 20+ years I have studied how to successfully employ intervention events (i.e. introducing “new ideas” such as new programs, new pastor, etc. to intervene in a church’s decline). Below are my top 7 tips for successfully doing so. These insights are needed today, because a growing literature in church management and group exit suggests that without an understanding of some of the following lessons, most attempts to introduce an intervention event will not start the church on a new life-cycle, but rather split it into two smaller groups of which neither will survive. However, seven (7) lessons are introduced (below) to make the change agent aware that before she or he creates an intervention event, they must also be prepared to study and manage the process that follows that intervention. Lesson 1: Usually, intervention events will produce a church exit. Arn (2009) is correct that life-cycles play an important role in managing organization behavior. Management researchers Dyke and Starke (1999:810-811) concur with Arn that new life-cycles can be fostered by, in Arn’s words, “beginning something new … an intervention event” (2009:9). However, group studies literature warns that introducing an intervention event, with proper knowledge of the six-stage process model involved, will in all likelihood produce a group exit (Dyke and Starke, 1996, 1999). 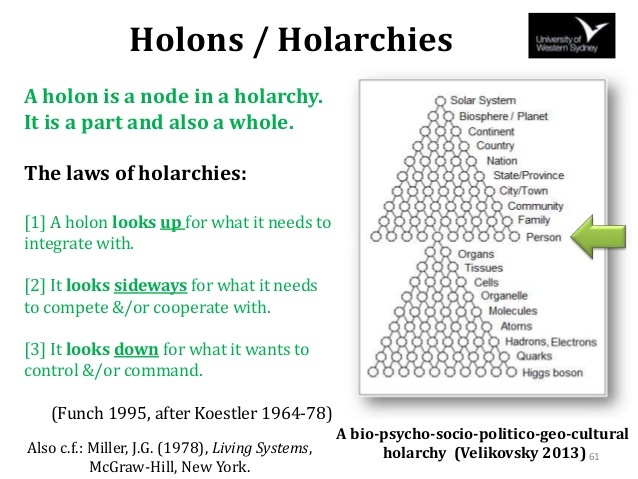 Lesson 3: Most people aren’t polarized from each other, until an intervention event. Dyke and Starke concur with Pondy’s conclusion that “felt conflict follows manifest conflict” (1967). This means that most people won’t get upset until after they witness some visible or “manifest” intervention (e.g. see Arn’s list of “intervention events,” 2009:9) over which they disagree with others. Thus, when an interventionist (Schaller 1997) uncritically introduces or supports an intervention, a visible (i.e. manifest) conflict event often ensues which then gets previously non-conflicted people riled up. The intervention event creates such deep internal felt conflict in individuals, that the result is a deep-seated conflict that usually spins out of control (Dyke and Starke 1996). Some may wonder if the conflict that results from intervention events is unavoidable, but Dyke and Starke have demonstrated that it is not (ibid). This leads us to the lesson 4. Lesson 4: If the reaction to the intervention event is not managed, the change proponents will leave as a group, create a new organization that will compete with the mother congregation, and usually both groups will die. Dyke and Starke (1996:159-174) discovered that typically such intervention events propel Pondy’s sub-group into a trajectory that leads to a “spin-off” or “unplanned birth” of a competitive organization. Lau and Murnigham (1998) observe that the ensuing “we-they” competition creates two unstable organizations. Case study research has supported the grounded theory of Lau and Murningham, and Dyke and Starke (Whitesel 2004, 2009:151-169). An ecclesial organization will usually not have sufficient economy of scale to survive this exit behavior, especially if the sub-group that exits the organization is comprised of change proponents (as it usually is, according to Dyke and Starke 1999:810-811). Lesson 5: To manage the results of an Intervention Event, ecclesial leaders must understand the “Process Model for Group Exit and Retention.” If an ecclesial leader wishes to retain her or his change proponents, an intervention event should not be undertaken without a preparation to manage the ensuing process model of group exit (an organizational model has been put forth by Dyke and Starke, 1999; and a simpler model has been put forth by Whitesel 2007, 2009:151-169, 177). Lesson 6: At Trigger 2, go slow … build consensus … and succeed. Church leaders that keep their congregations unified and thwart group exit, undertake two (2) of the “trigger events” differently (Dyke and Starke 1999: 811-815). Trigger 1 (a legitimating event) occurs when change proponents bring a new idea to a leader, and the leader enthusiastically “blesses” or “inadvertently legitimates” the new idea. Dyke and Starke found that if the leader does so, change proponents will run too fast with the new idea. While the status quo will be initially tolerant, they will later resent the fact that they were not consulted. The result is a church split (and group exit). Instead, leaders that kept their church unified went slow … built consensus … and succeeded. When new ideas were brought to a church leader, the uniting leader slowed down the change proponents, encouraged them to go through proper channels (creating compromise and consensus), and even had them dialogue with people who the church leader knew would be suspicious, apprehensive and/or contrary. Lesson 7: At Trigger 4 the effective leader plans for conflict, uses conflict-resolution skills and emphasizes the power of unity. Dyke and Starke found that even when Trigger 2 was handled correctly, conflict will still occur. However, the unifying leader plans for conflict, and when it arises, he or she brings the different sides together to stress that they can do more together than apart. Therefore, instead of a “polarizing event” on the route to group exit, Trigger 4 becomes a “harmonizing event” on the route to group retention and “dissonant harmony” (Dyke and Starke1999:811-815). Thus, a uniting leader plans for conflict, learns conflict resolution skills, and is adept at inspiring a church to see it can do more together, than apart. If a leader wishes to assist the church in embarking upon a new lifecycle which Arn laudably suggests (rather than fostering more typical group exit behavior) then he or she should familiarize themselves with the process model of group exit (Dyke and Starke 1999:813, Whitesel 2003:177). This initial repression may be due to Christians typically eschewing conflict (Whitesel 2003:85-93). Charles Arn, “Where is Your Church in Its Missional Lifecycle?” (Marion, Ind. : Indiana Wesleyan University, 2009). Lyle Schaller, The Interventionist (Nashville: Abingdon Press, 1997). Bob Whitesel, Staying Power: Why People Leave the Church Over Change and What You Can Do About It (Nashville: Abingdon Press, 2004). Bob Whitesel, Preparing for Change Reaction: How to Introduce Change in Your Church (Indianapolis: The Wesleyan Publishing House, 2008). by Bob Whitesel, D.Min., Ph.D., 10/15/15. A student once shared that he was hired from within the organization to fill the lead pastor role. I have written (Growth by Accident, Death by Planning: How NOT to Kill a Growing Congregation, pp. 109-120) about why this is often a strategically wise practice. And, research confirms this. However, hiring from within also brings caveats. Following the student’s comments, are my top three things you must avoid. RULE #2: Secondly tell them you’re going to go slow before you make any changes. Remember going slow and building consensus is the secret to making change happening in a unifying manner (see research and examples in the chapter, “Go Slowly, Build Consensus and Succeed” in Preparing for Change Reaction: How to Introduce Change in Your Church, pp. 151-169 which you can download here: BOOK ©Whitesel EXCERPT – CHANGE REACTION Chpt. 8 Go Slow. Also, you will find even more extensive examples in Staying Power: Why People Leave the Church Over Change and What You Can Do About It” Abingdon Press.) Even though you have been at the church for some time, some people may have felt that the previous later wasn’t open to their ideas. And, they will immediately start to politic you. You do not want to be perceived as taking sides. So listen to them and explain to them their ideas must go through proper channels (baords, vetting by people affected, etc.). Get them working with others who they’ve been at odds with in the past to move the idea forward. Do not becomes the champion of the new idea or you will be perceived as taking sides. Taking sides on methodology (not theology) is one of the most dangerous positions a new pastor can find her or himself in. RULE #3: And this brings us to the third point: don’t get in between people with different opinions – but rather get them working together to solve their differences. As you remember in my book Staying Power: Why People Leave the Church Over Change and What You Can Do About It” (Abingdon Press) that when a new leader comes into a position (even if they been a leader in the church for many years) there will arise a new activity of politicking to get the new leader to support their side. You must remember … don’t get in the middle. Research shows the best thing is to get them working out their differences between each other without you in the middle (again download this chapter for the research footnotes: BOOK ©Whitesel EXCERPT – CHANGE REACTION Chpt. 8 Go Slow.) So don’t, repeat don’t, let them put you in the middle as a go-between between them. Do not be a mediator or negotiator. Force them to meet with one another and to come up between them with a third option. The secret is not for you to be the negotiator, but for them to conduct negotiations face-to-face. That way there is no communication filter or opportunity for them to blame you for miscommunicating their position. So don’t be a go-between – be someone that gets people to talk out their differences with each other (and without you there 🙂 Of course they must still bring it back to you for affirmation. But don’t affirm a compromise, until they work it out themselves. Commentary by Dr. Whitesel: While studying churches that grow in times of crises, I’ve noticed that at these times leaders put authority into their small groups to do most of the ministry work. Such an example is St. Thomas’ Church in Sheffield, England when as England’s largest megachurch they lost their auditorium with three weeks notice. Read about this in the chapter I contributed to Eddie Gibbs’ festschrift titled “Gospel after Christendom” (Baker Academic, 2012). Basically what St. Thomas did was allow all the small groups to do the social-action ministries and even require them to do so. Therefore, instead of top-down organization of social action programs designed by the executive team of the church, they required each small group to look around it’s community and weekly do something to help non-churchgoers. This democratized the organizations outreach through a leadership-style called “holarchy.” This is exactly what John Wesley required of the small group meetings: they were each required to go out and serve the needy. This became known as Wesley’s “method” and adherents the “Methodists.” Read this article in Inc. Magazine to become acquainted with “holarchy” and how it is much better than top-down autocratic management when managing today’s post modern young adults.